Inaction from the Baird government and aggressive industrial tactics from Essential Energy have forced unions and employees to take unprecedented industrial action from next Monday. 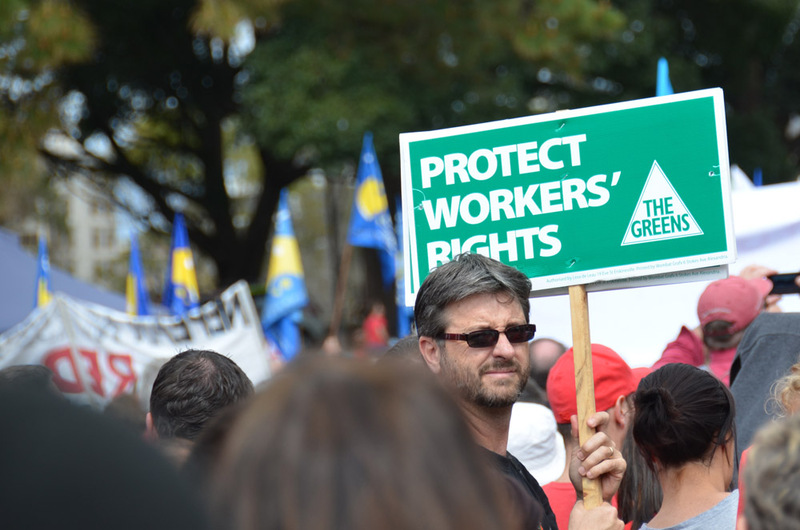 In the interests of safety and decency, the Greens NSW are calling on the Baird government to intervene and end the state-owned corporation’s ongoing attacks on the jobs and conditions of their employees. The action will impact 120 workplaces, depots and control rooms with employees walking off the job until Friday 27 May. Impacts on electricity services are expected for Essential Energy’s 800,000 regional customers during the 80 hour strike. “Essential Energy has been relentless in their attacks on the jobs and conditions of their workers. “The ETU and workers at Essential Energy have been left with little choice but to strike. “The NSW Baird-Grant government excluded the regional network provider from their privatisation agenda under the guise of protecting jobs. “Despite Baird’s promise, Essential Energy has already gutted 500 regional jobs in the past 12 months and are now looking to cut a further 800 jobs by 2018. “The National Party may have momentarily spared Essential Energy from Mike Baird’s privatisation chopping block, but now they are standing back while the regional electricity provider forces job losses and reduced safety on communities across the state. “Essential Energy’s network covers 95% of the state and employees 3,200 people. A strong and well supported workforce is absolutely critical to ensuring the safety and reliability of the electricity network in regional NSW. “At a time when NSW needs to be dramatically reducing its reliance on coal and shifting to distributed, renewable sources of energy, it makes no sense to be slashing the workforce that will be critical to enabling this transition to occur. “It is now critical that the Baird government intervene and direct Essential Energy to come to the table and protect regional communities from further pain,” Mr Shoebridge said.